There are currently about 1.3 billion smartphones in use globally. By 2017, it’s expected that 2.5 billion users will connect through messaging-based apps. Snapchat. Line. Whisper. Tango. These are just some of the call names of a new messaging code that advertisers are trying to understand and speak themselves. They are the new social platforms—entirely mobile and thoroughly engaging, particularly for youth. Until recently, innovative social media marketing meant campaigns built for Facebook and Twitter, and maybe Tumblr. Just as marketers started to get the hang of this new language—redirecting their ad dollars accordingly—they had to contend with Instagram, then Vine and then Snapchat. While those platforms are still relatively new marketing landscapes, the increasingly mobile social media frontier is now exploding with unexpected, and seemingly inhospitable, new inhabitants that look really scary to all but the most daring brands. If advertising on Facebook was thought to be intrusive, try inserting a trademark into a private group conversation or targeting people who don’t want to be identified. For example, how do you find fans on Whisper, the anonymous mobile message feed best used for broadcasting secrets? How do you campaign on Kik, where millions of users are messaging with friends and strangers? Should marketers bother to post questions on Jelly, yet another app for sending messages and getting feedback? Already these apps attract massive audiences—WhatsApp alone counts almost a half billion. But to survive, most of these new apps will surely need to monetize some branded experiences. DDB Worldwide, used to pushing into new creative areas, has already embraced six-second video formats for promotions on Vine. The agency’s Oslo office already has branched out into disappearing messages on Snapchat. Despite the challenges, marketers can ill afford to ignore this new breed. Much as Facebook became a gateway to the Web, some of these apps envision themselves as the gateway to mobile devices. They are the new communication hubs on smartphones. One study said users of apps like Kik send more than 30 messages per day, compared to an average of five regular texts. Here’s a look at a handful of the newest mobile messaging apps and their suitability—or hostility—to marketers. 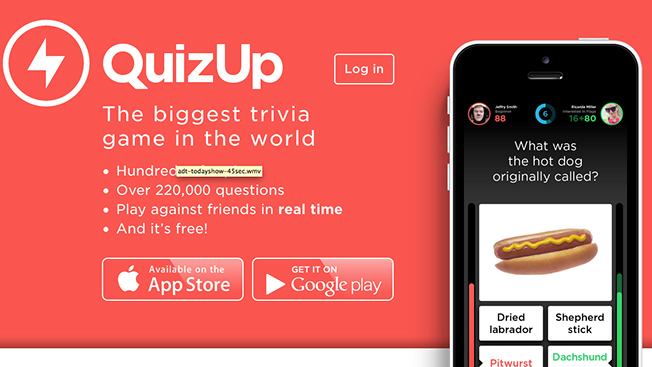 When an app claims 400 million users, advertisers definitely want in on that action. Sorry, but WhatsApp is what you would call ad-averse, given it’s a straight-up texting tool with few frills compared to rivals like Tango and Kik (but tons of users who pay for the app). “WhatsApp is the most closed to advertising opportunities,” says Eytan Oren, director of partnerships at IPG Media. “It’s the only one that’s been off the table for now.” IPG Media is among the agencies educating brands on the popularity and potential of messaging. “We’re trying to talk to all the major players in messaging, and there’s a lot of excitement we’re seeing about that space from the agencies,” Oren says. However, WhatsApp is not biting, and is sticking by its no-ads heritage, which its founders, former Yahoo veterans, proclaim proudly.